Here we go! Designer Con 2017 is done and dusted for the year and collectors not fortunate enough will be happy to know Eric Althin aka Sad Salesman’s The Dessert Oracle and Wizard have now been added to his online store. 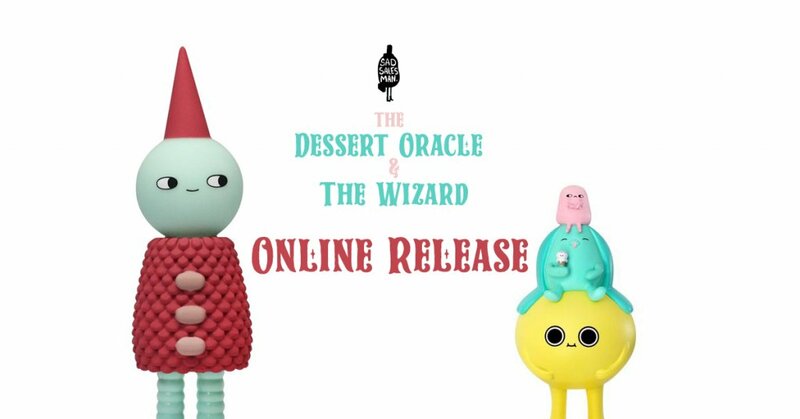 Both look fantastic and owning the Dessert Oracle we can say we are super happy with him, check out the LIVE unboxing below. Life is sweeter with this 5” vinyl toy. at 8.75″ it stands just short of a whopping 9 inches tall!